D.C.'s own is known for his ill sneaker game, and this year he showed no signs of letting up. Releasing his anticipated second album, Ambition, it fared much better than his debut, showing his evolution as a rapper. 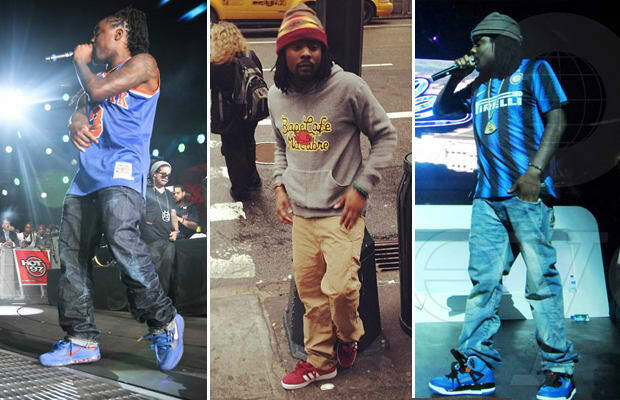 The evolution of his style was also noteworthy — while other rappers were quick to hop on luxury brands that Kanye and Jay-Z were rocking, Wale opted for throwback jerseys and hats, and expensive leather backpacks from Louis Stewart.